Nigeria Inter-Bank Settlement (NIBSS) has disclosed that a total of 29.4 million Bank Verification Number (BVN) cards have been issued to bank customers as at June 18, 2017. This indicates that NIBBS has issued 56.9 per cent BVN cards to 51.7 million total BVN accounts holders that have enrolled as at February this year. Early in the year, NIBSS said 50.9 million total BVN accounts have enrolled an increase of 1.9 per cent from 49.99 million as at December 2016. In previous years, record shows that linked accounts in the same period of February 2015 stood at 2.71 million and in 2016 at 31.11 million. Industry observers pointed out that the figure of issued BVN is expected to record an astronomical growth very soon as a result of the recent directive by the Central Bank of Nigeria (CBN) mandating Other Financial Institutions (OFIs) to also commence BVN registration exercise for their customers. The extension of BVN exercise to the customers of OFIs was contained in a CBN circular dated April 21 with reference number OFI/DIR/CIR/GEN/17/139 and signed by the CBN Director in charge of Other Financial Institutions supervision department, Mrs. Tokunbo Martins. The bank has also moved on to set July 31, 2017 as deadline for this exercise, warning that any OFI account not linked with the BVN “shall not be allowed to make withdrawals”. The CBN, in collaboration with the bankers committee, explained that BVN registration for customers of OFI is expected to, among other things, support the achievement of zero default credit target set for Participating Financial Institutions (PFIs) in the Micro Small and Medium Enterprise Development Fund (MSMEDF) and also open credit opportunities for millions of people without a standard means of identification. 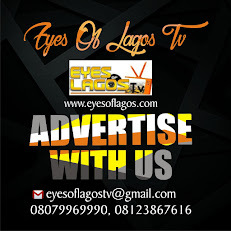 To address this challenge and complement the existing means of identification of customers, which include the Driver’s License; the International Passport; the National Identity Card; and the Permanent Voter’s Card; the CBN, in collaboration with the Bankers’ Committee, launched the Bank Verification Number (BVN) Project in February 2014. The BVN is expected to also minimize the incidence of fraud and money laundering in the financial system, as well as enhance financial inclusion. The implementation of the BVN initiative, which started with the customers of Deposit Money Banks (DMBs), has been very successful. 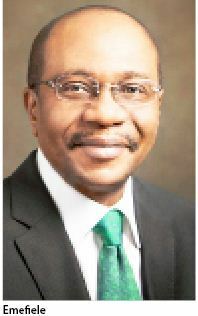 “However, to avoid a broken identification link in the banking system, it has become necessary to extend the BVN enrolment to the customers of Other Financial Institutions (OFIs) especially as some OFIs are located in the rural areas of the country, and have customers that may not have enrolled with the DMBs”, CBN explained.